We are at an age of digital marketing where everything can be accessed with just a tap in your screen. Dentistry may be one of the longest running professions out there but it is still a consumer-based service. You have to realize that gone are the days of advertising your dentistry on the radio or TV. People are getting smarter now and tend to be attracted to better promoted services. If you cannot find clever ways to catch the attention of your client base, they may go to your competition. This means that you have to understand that a digital promotion through a website provides a more effective result. A website is only as good as what you put in it. The content on your website should be thoroughly explained so that it can effectively project your services to your clients. You want to grab their attention as soon as possible. This means providing them with clear information of what you can offer for them. A website that is all over the place will only confuse them and possibly overwhelm them in the process. What you want is a website that is simple, yet elegant and easy to follow. It’s important that your website cuts to the point while still being as eye-catching as possible. You are a professional medical practitioner and what you put out there can possibly reflect badly on you and your dental office. An engaging website that is less of a hassle and more of a solid medium to your service creates a potential gain for you. The design of your website is what defines how well you do in the digital market. Your aim isn’t to be the most busy website out there, but to generate high traffic and a lot of potential leads so you can get the best ROI. The layout should mirror your profession and come across to clients as to who you are and what you offer. Your goal here is to create connections with potential clients so you can create a powerful brand image. An effective website creates a long lasting brand. The age of digital technology also comes with a lot of risks. We live in an age of computers where anything and everything is accessible. As a medical website, you cannot avoid collecting sensitive data from clients because these are prime targets for hackers. Hacking is one of the most rampant violations of this era. 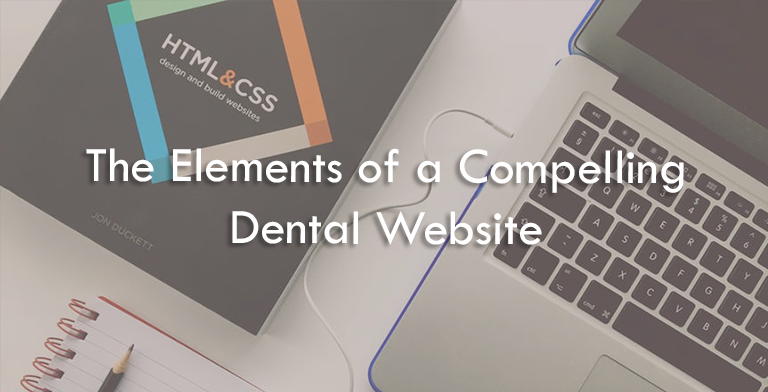 Cyber thieves tends to assume that dental websites are one of the easier targets. This is why you should give high priority as to how strong your security is. Consider an SLL certificate. Websites often backed-up with an SSL (Secure Sockets Layer) are secure on the world wide web.